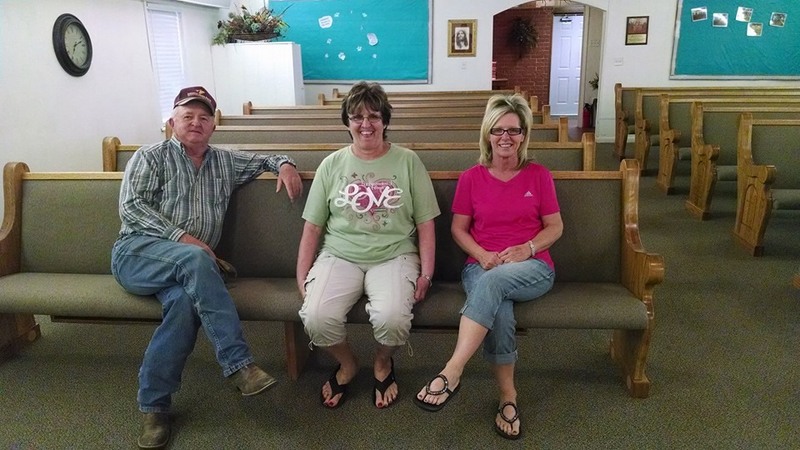 Over the weekend, we installed new church furniture in Cement, Oklahoma. Cement is a small Oklahoma town between Fort Sill and Chickasha of around 530 residents. We installed the 14 new church pews in just a few hours with the help of some members of the Born Again Pews family, Rex’s parents. Our family roots run deep and we believe that is one of the things that make our products better than others. Family is important to us at Born Again Pews. Every family has their rough times but instead of letting that tear our family apart, we turned it into strength. Now we work together to build the best church furniture on the market. Through the lessons we’ve learned as a family, we took that strength and made our church furniture company and worked together to serve God in the best way we can. As family, we treat our customers with respect and provide them with the same quality and craftsmanship that we would use for our own family and church. We believe that every church is part of a larger Christian family and we share the ties of accepting the Lord as our God and Savior. When you buy from Born Again Pews, we get to know you as brothers and sisters in Christ, working together to bring the Word to more people. We believe that it’s only natural for us to work on our furniture as hard as you do to bring new members to your church. Buy from Born Again Pews and you’ll see the difference in becoming part of a larger family rather than just another customer. We offer the longest warranties in the business and should anything go wrong with the workmanship of our church furniture, we’ll be there to help. Get a free quote today or check out our catalog to find out what we offer.